The original Taco Bell stand is heading south for the winter—and for every day after that. 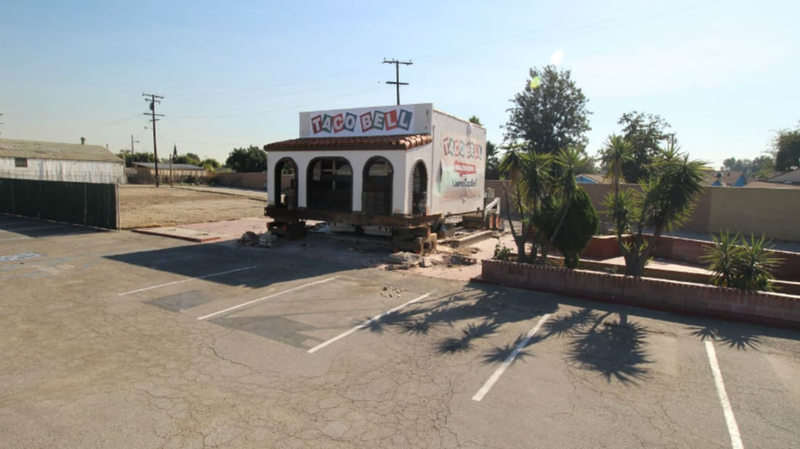 The Orange County Register reports that the stand—a vacant building in Downey, California that was built by Glen Bell in 1962, long before “Fourth Meal” was a phrase that had entered our collective vocabulary—will be moved to Taco Bell H.Q. in Irvine, California today. The Downey Taco Bell location, affectionately called “Numero Uno,” closed in 1986, and the 400-square-foot structure was cycled through a number of unaffiliated Mexican takeout restaurants. After the most recent one went out of business, the building was almost torn down by developers due to a lack of use. The community protested its demolition—and Taco Bell’s corporate headquarters listened. Today's moving day. A webcam will capture Numero Uno’s 45-mile overnight journey to its new home, which begins at 10:30 p.m. Although Taco Bell hasn’t decided what it will do with the iconic building, the company will reportedly use social media to gauge how fans want it to be used. Watch Numero Uno’s journey online—and as you take in the spectacle, ditch the popcorn and make sure to munch on some Fiery Doritos Locos Tacos instead.